Every year, thousands of Early Care & Education (ECE) professionals dedicate their time to ongoing professional development by participating in training provided by Child Care Resource and Referral (R&R) and Alternative Payment (AP) agencies. In 2006, CCALA's agencies aligned their training and coaching programs into a single professional development system known as Gateways for Early Educators™ (Gateways). Gateways includes a comprehensive training program offered throughout the county at member agencies. Each year we offer more than 500 trainings to over 2,000 providers. The goal of Gateways for Early Educators™ is to provide ECE professionals with training and professional development support so that they have the knowledge and skills needed to provide high-quality learning experiences for the young children in their care. The L.A. County R&Rs have worked together to assure that the learning areas designated in the Gateways for Early Educators™ trainings align directly with the California Early Childhood Educator Competencies (CA ECE Competencies). This has served to further strengthen and improve the quality of professional development opportunities available to the ECE workforce in the county. The R&Rs acknowledge the training accomplishments of these professionals at the Annual Karen Kaye Award of Achievement Celebration. This award was named to honor Karen Kaye, whose vision paved the way for the development of the Gateways for Early Educators™ initiative. (Karen Kaye was the Executive Director at Connections for Children, the R&R agency serving the Westside and South Bay of Los Angeles). 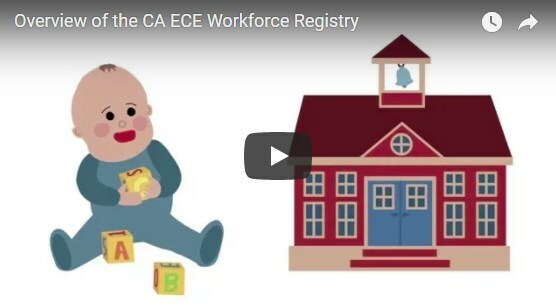 The L.A. County R&Rs partnered with the California Early Care and Education Workforce Registry (Registry) to integrate the newly revised Gateways for Early Educators™ Passport. This collaboration enables R&Rs to post the trainings they provide in a central location and to track participants' training accomplishments in the Registry consistently across the county. The NEW Gateways Passport was introduced on July 1, 2016 and allows participants to track the completion of training hours in each of the 12 California ECE Competency Areas. How Does The Gateways Passport Work?